Aerial view of Central Australian Landscape. 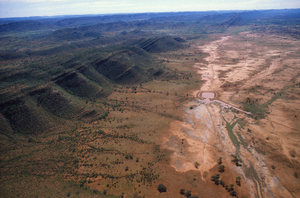 Aerial view of MacDonnell Ranges and soil erosion, near Alice Springs, Northern Territory. October 1986.